And so on a beautiful autumn afternoon, with Patsy and Allyson and Aidan to the Pumpkin Fair in the grounds of Hardwick House, a seven-bedroom Elizabethan manor house located on the Thames in South Oxfordshire, with a beautiful river view. The sun shone and the children played, and pizza and pumpkin soup were consumed; and for those with a keen interest in horticulture, the head gardener gave an impressively informative tour of the 900-acre Estate’s market garden, the theme of which was “know and embrace your natural friends and allow them to thrive so that they keep the predators at bay”. Good advice at any time! Following that, the delightful Miriam Rose, daughter of the present owner, gave a straggling group of followers a brief tour of the incredibly well-preserved house. Turns out, Hardwick House was built on top of the remains of an ancient dwelling recorded in the Doomsday book, part of which remains in the flint and chalk cellar walls. The main house was constructed in the 16th Century by the Lybbe family – soldiers, courtiers and winetasters to the Plantagent Kings. In 1643 the royalist Lybbe family were forced to flee during the Civil War, when the house was bombarded by Cromwell’s forces. King Charles I, possibly a friend of the family, also played bowls on the green at Collins End Common on the Hardwick Estate before he was finally beheaded. When the Lybbe-Powyses fell on hard times in the late 1800s, Sir Charles Rose – a banker, MP and larger-than-life public figure, bought the estate and house. 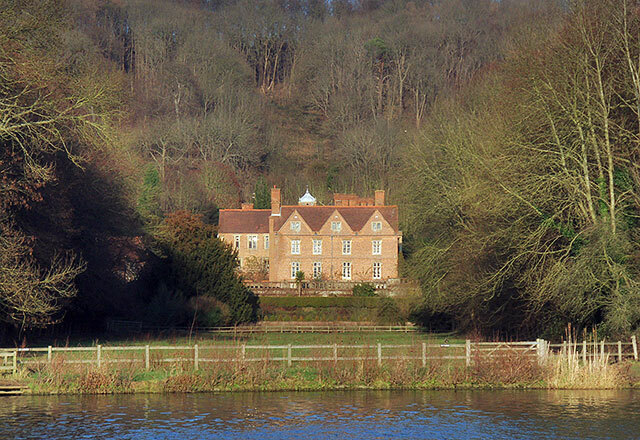 He and his wife were well connected in the arts and literary world and Kenneth Graham visited the house regularly, basing his book The Wind in The Willows at Hardwick (with influences from other Thames-side houses), and the character of Mr Toad on Sir Charles himself. Henry James also set the first scene of Portrait of a Lady in the gardens at Hardwick, and a number of other books of the time make mention of the house. Sir Charles was a tennis, motoring, yachting, flying and horse-racing enthusiast, and built two Real Tennis courts at Hardwick, one of which is still very actively used. His paintings and furnishings still adorn many of the rooms. And the good news? 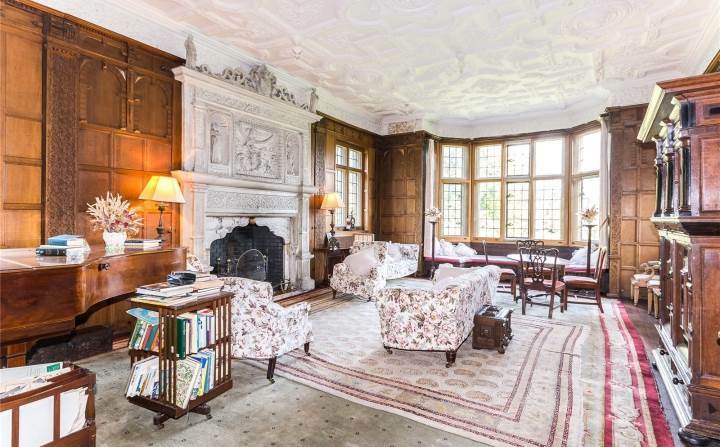 The East Wing of this glorious house is currently available to rent at £5000 per month, which will give you 7 bedrooms, 3 reception rooms, 2 bathrooms, and an immersion in the history and joys of country life as it was in the good old days that should last you a lifetime. Her father replied that she could do what she liked with him. He was tired of Toad, and his sulks and his airs and his meanness. So that day she went on her errand of mercy, and knocked at the door of Toad’s cell. When the girl returned, some hours later, she carried a tray, with a cup of fragrant tea steaming on it; and a plate piled up with very hot buttered toast, cut thick, very brown on both sides, with the butter running through the holes in it in great golden drops, like honey from the honeycomb. The smell of that buttered toast simply talked to Toad, and with no uncertain voice; talked of warm kitchens, of breakfasts on bright frosty mornings, of cosy parlour firesides on winter evenings, when one’s ramble was over and slippered feet were propped on the fender; of the purring of contented cats, and the twitter of sleepy canaries. Toad sat up on end once more, dried his eyes, sipped his tea and munched his toast, and soon began talking freely about himself, and the house he lived in, and his doings there, and how important he was, and what a lot his friends thought of him. The gaoler’s daughter saw that the topic was doing him as much good as the tea, as indeed it was, and encouraged him to go on.